7 units private villas in Bali , consist 2 and 3 bedrooms villa, Each of the 4 x 2 bedroom and 3 x 3 bedroom luxury Kembali Bali villa is equipped with spacious living facilities, modern home conveniences, a kitchen if you want to cook, and extravagant extras such as a private swimming pool and villa maid. Your choice of 7 private Bali villas will provide a holiday experience that surpasses luxury star-rated hotels and resorts. 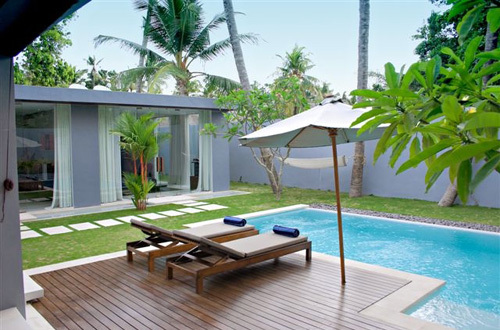 Kembali Bali villas have been designed by one of Bali’s well known architects and features both modern and Balinese open plan living plus luxury air conditioned bedrooms with en suite alfresco bathrooms, stylish lush gardens surrounded by high walls, which ensure your absolute privacy.